Social networks such as Facebook and Twitter are the ideal space for sharing information, whether that’s between friends, colleagues or customers. With over 800 million active users, Facebook is a major player in creating brand visibility and has an undisputedly wide audience base. It is expected for businesses to harness the power of social networking, by creating a company profile and engaging in meaningful discussions with their ‘fans’. 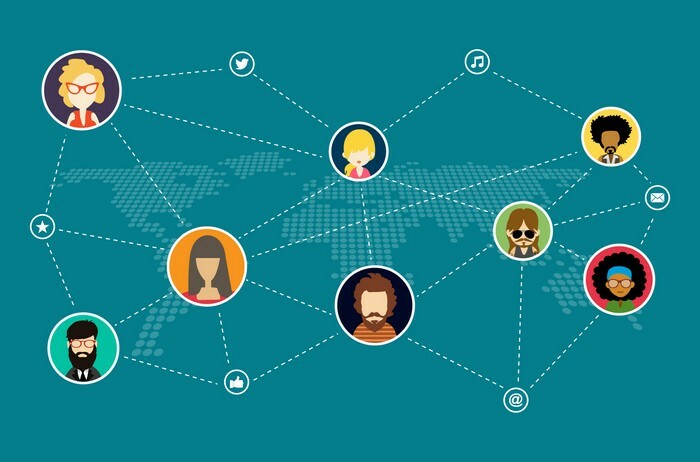 Social networking can help build connections with others in your industry, reach out to a new audience and manage your brand’s identify and customer perception. Cartoozo have a team of experts who are well versed in all aspects of social networking, from business profile creation and brand management, to communication strategies and advertising. A ready-made, targeted audience – by nature, social networking encourages its users to arrange themselves into groups, according to commonly held interests, ambitions or experience. The information that these users publish about themselves is detailed and extremely valuable – it is possible to find people based not only on their location, but on their interests, age and relationship status. Getting people to like you – while an individual on Facebook can only have a certain number of friends, a profile page can have an unlimited number of ‘likes’. By ‘liking’ your page, a visitor is demonstrating their interest in what you have to say and will receive notifications whenever your page is updated. Here is a ready-made, interested audience for you to interact with. Timely content – social networks such as Facebook and Twitter allow you to respond to events and post updates in real time. You can instantly alert your fans and followers to the launch of a new product, a recent success or breaking news about your industry. The original member-get-member activity – endorsement and recommendation are major watchwords on social networks, which operate on the principles of word of mouth. A personal recommendation is more effective than any advertising campaign, and social networking replicates this process in a way that businesses can take advantage of. Tabs, games and competitions – Facebook has the opportunity to create additional tabs within a profile page. These can be expensive to design and implement, but they’re also extremely flexible. Including a promotional game or competition on your business’s profile page encourages audience interaction with your brand and can be a fun way for your customers to generate more interest, through member-get-member activity. Our team at Cartoozo have expertise in every avenue of social networking. Business profile and page creation – we can help with the nuts and bolts of setting up your profile, creating an account and negotiating the technical issues. Communication strategies – we can create unique communication strategies based on important activities within your business. We use a variety of communications, from loyalty communications, promotions, games and competitions, to asks and revenue-generating comms. Creative design – our design team can provide tailor-made creative including Twibbons, avatars, profile pictures, and targeted adverts.